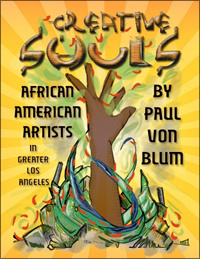 Special two books for the price of one offer: when you order Creative Souls by Paul Von Blum, you will receive his latest book, A Life at the Margins: Keeping the Political Vision for as long as they last absolutely free. These artists work in every medium: painting, murals, sculpture, assemblage, installations, photography, video, mask making, and several related forms. Together, their efforts have made powerful and enduring contributions to the cultural life of Southern California and to the nation as a whole. This volume documents their work and adds to the growing literature on African American art history and criticism.